Self Love Day 22 – Gratitude are you doing it properly? 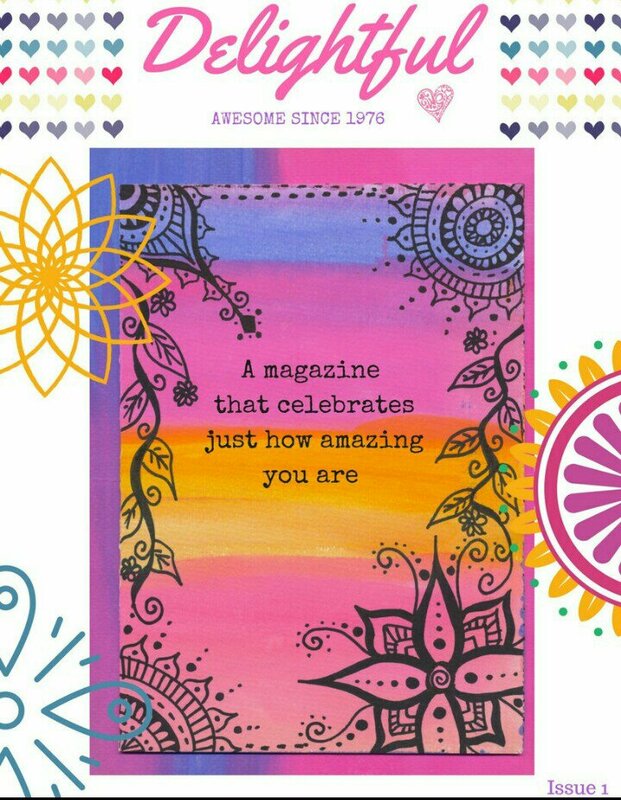 My Sunday morning started with purchasing a positivity magazine from Dotty Delightful. I can highly recommend it and below is a link to purchase something that for the price of a coffee will lift you longer than the caffeine high. 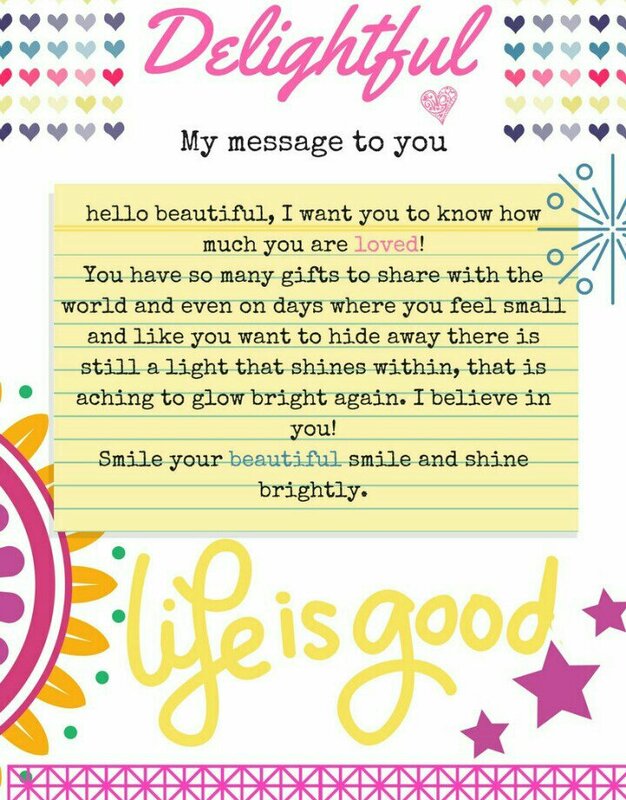 I love colour and positivity and this was brimming with it, just flicking through the pages instantly made me feel relaxed and lighter. One of the pages was about gratitude and asked you to list 10 things that you are grateful for. If you are like me, then your Facebook page is always filled with positive memes and recommendations for gratitude. Sometimes we can see something so much that we can switch off from it and forget about the power that it has. I knew that I had positivity fatigue as I looked and thought “yeah I know I need to be grateful” and as I heard myself say that I realised that I had “positivity fatigue” and needed to remedy it quick. So if you are filled with so much positivity but know that somewhere it isn’t working then take the time to do this, reconnect properly with gratitude. 1. Get your journal, paper, pens and block out half an hour from the people in your life (they will really benefit, because at the end of it they will get the new and improved version of you). 2. Firstly centre yourself, you do this by just closing your eyes, making sure your feet are on the floor and just take 3 nice deep breaths. 3. Write “I am grateful for (fill in the blank) because………… (the power is in the” because ” it helps it stop just being a list and really helps you to connect to the reasons why). 4. Repeat step 3 nine more times. 5. Go back to your life with a much more relaxed and calm centre, you and the people around you will appreciate it. 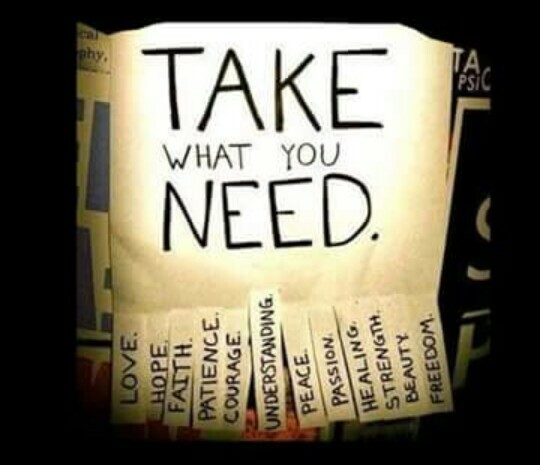 Self Love Day 19- What do you need? So how does it all get messed up, you know feeling frustrated, unhappy? One of the reasons is that your needs are not being met. Again it is that simple act of placing awareness on your needs and meeting them. One of the problems is that we can feel selfish meeting our needs or somewhere we don’t look because we are concerned that when we discover our needs we won’t actually be able to meet them and then we’ll be even more disappointed. I can tell you that when you get down to your needs, they are actually very simple and it is easy and straightforward to meet them. The problem is that they have been neglected for so long that they are buried very deep under everyone else’s needs and a whole host of resentment. One of the other problems is that we are so heavily drawn into other people meeting our needs, that’s a big strain on any relationship (let me qualify that when I use the word relationship I am not just talking in the sense of romantic, I am talking about every person you relate to, some are stronger relationships than others). If we don’t know what our needs are, but yet we expect everyone around us to know what our needs are and get frustrated with people when they don’t fulfil our needs, it’s a clear recipe for unhappiness. So start by just taking the time to ask yourself what your needs are. Make a decision that everyday for the next week that you are going to take 10 minutes to just write down what it is you need right now. At first it will be a holiday in the Bahamas, win the lottery so that I don’t have to work however what you will find underneath it all (that is the magic of doing it for seven days, at day 4 you hit the “I don’t know anymore” keep going, the gold is there) that your needs can be as simple as needing a walk in the morning on your own and by meeting your need for that day you are a much happier person to be around and isn’t that worth investing time in? For more information on how you can access any courses or for inspiring daily posts either message me or see me Facebook page. Belief is like a muscle and therefore like a muscle it can be put on a training programme. I would start with a programme of affirmations of “I believe in myself” “I believe I can do this” just constantly repeating it throughout your day and even more so when thoughts come up contrary to that. When those thoughts come up they are just coming from your ego and your ego is there strange though it may seem, to protect you. I know I can see your furrowed brow, what my ego is trying to protect me! Your ego is your conscious mind, the part of your identity that you consider your“self.” If you say someone has “a big ego,” then you are saying he is too full of himself. Your ego is made up of your conscious thoughts and those thoughts will be reminding you “oh no don’t try that, the last time you tried that you failed and that was humiliating and that feeling of humiliation was painful and I don’t like painful feelings so lets not do anything that brings up painful feelings” so that is how it is trying to protect you. So now when you try and change your thoughts to ones of belief and doubting thoughts come up you can be more gentle more loving with your mind and say “thank you for reminding me, but its going to be ok and I am going to learn how to handle it”. Dismissing your thoughts positive or negative is just dismissing a part of yourself and that is not very loving, its all about balance and having a healthy awareness of which thoughts are helpful and which ones are trying to protect you. In time you will build in new experiences and either won’t experience humiliating thoughts or you will handle the humiliating thoughts with love and gentleness and any doubting thoughts will start to change. We all have different levels of fear and resistance to believing in ourselves and can all prescribe ourselves a gym programme of reps of positive affirmations and below are some ideas on how you can remember to do them …..
Start with waking up in the morning and just looking yourself in the mirror (I know cheesy american stuff, but when you get over it and how much it will bring into your life through just one simple move then you’ll be adding pickle onto the cheesiness) and say I love you and I believe in you, do it, honestly try it, but do it for 30 days and see how different you feel. Write yourself post it notes and post them all over the house, on your bathroom mirror, on the fridge, but you know what works really well? Go put them all over the house in the places that you don’t can’t see. Go do it, on the inside of your wardrobe doors, on the inside of cupboard doors, on a towel in your airing cupboard, under your duvet, in your purse, in the food cupboard on a tin, anywhere you can think of. Go do it, I am smiling at the look on your face when you find all these and forgot that you had put them there. Put a reminder on your phone with a gorgeous photo of yourself attached to it. No this is not cheese or ego, you are not doing the oh my god I am gorgeous look at me routine, you are looking at yourself and feeling the love for yourself in the way that you would look at a child or a baby and say I love you. In fact if you find it difficult putting a photo of yourself on your phone, put a photo of yourself as a child on your phone and tell that child everyday that you love and believe in them. Oh my god can you imagine if the whole world did this, how awesome and wonderful we would all feel. So 3 easy ways for you to start feeling love and belief in yourself. If you want to go deeper with this work or need some encouragement to get you started then contact me. So what is it? The most inaccurate statement? “I am not prioritising my time to suit my needs”. So how do you start shifting your behaviour around this and give yourself more time (which you now know you can’t do!) but what you can do is take more control over what you spend your time on. To do this I am going to recommend the very simple but powerful strategy that can be applied to any part of your life which is……….. Decide how you want to repriortise your time. So why don’t you do that now. You can look at just one day, a week, do it, stop and look and list where you are spending your time and then decide where you would like to be spending your time. Print several copies of the chart below and fill them in. If you prefer to be more technical then there are lots of apps that you can use to help you track your time. I have just tried aTimeLogger from Play Store. In my next article I will share an example of how to help understand your reasons and motivations for where you spend your time. Self Love Day 13 – Isn’t it selfish? 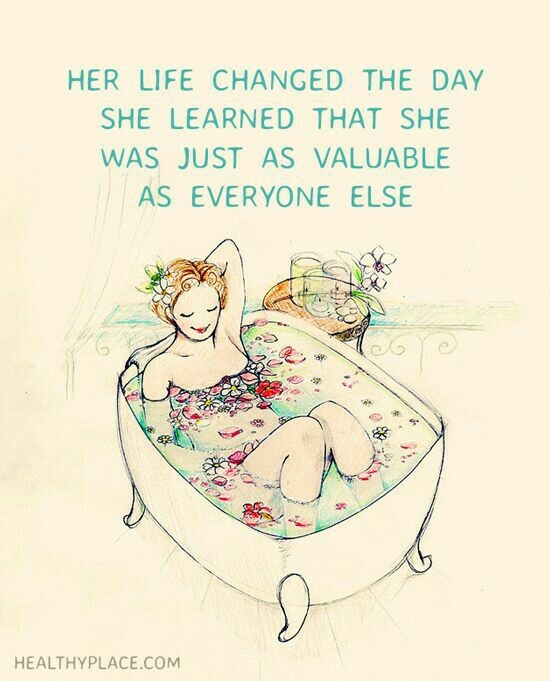 This would depend on what your definition of self love is. some think it is about spending all their money on themselves and not thinking about anybody else. We are inherently wired to look after each other and care for each others needs, its a tribal primordial programme hardwired in our brain. We all have hearts (in the wider sense not the physical sense) and when they are functioning properly you feel so much love for your fellow man that you cannot help but be happy. The problem is that so many people have closed hearts because of pain they have experienced over the years and have lost touch with a sense of who they are. We are all here with a purpose and so many of us feel bogged down and have lost our way that we literally cannot see the wood for the trees. This can be a sign of a closed heart and a disconnection from who you really are as a person. Why do people literally go gaga over babies? Is it because they are just pure love, they are so happy, so content in their bodies and just radiate a feeling that nothing else seems to touch. This is an example of a human being in touch with themselves and having a lovely open heart. So when we are talking about self love, we are talking about getting back to that sense of peace we can feel as a baby. Can you imagine feeling the love, peace and contentment that radiates out of a newborn? Now imagine a world with everyone feeling like that? How happy are people when they have visited a baby? Just imagine being in touch with that level of love for yourself and how everybody around you would feel, which is why it isn’t selfish to cultivate self love. When you have that level of self love other people feel it and it makes them feel better about themselves, which is a much more empowering way to light up the world. Fill yourself up and shine.